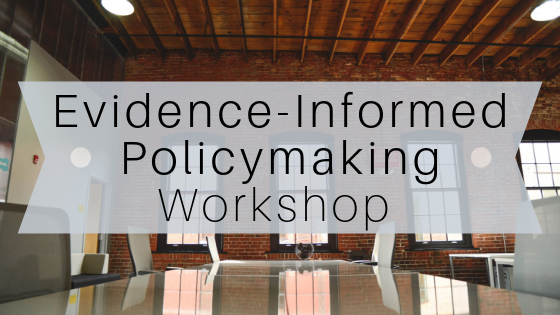 Evidence for Democracy (E4D), in partnership with the Institute on Governance (IOG), hosted a workshop in Ottawa on December 13th, 2018 with the goal of bringing a Canadian perspective and voice to important work initiated by the Hewlett Foundation* to strengthen the global field of evidence-based policymaking. A key goal of this workshop was to provide a distinctly Canadian perspective on evidence-based policymaking, both from a cultural perspective and from the perspective of leading academics in Canada in the fields of philosophy of science, and science and technology studies. The participants focused on four areas of discussion: conceptualizing a field of evidence-informed policymaking, institutionalizing evidence use through support and accountability, strengthening messaging and stimulating public engagement, and inspiring global commitments to systematic use of evidence. The content of these discussions was captured and articulated into a report. The Ottawa workshop was held in response to a meeting held in August of 2018 in which the Hewlett Foundation convened a group of 18 leaders, including E4D’s Executive Director, who value the role of evidence in decision-making. The leaders - participating from more than half a dozen countries and various backgrounds and disciplines - came together to think about potential actions and activities that could advance the field of evidence-informed policymaking. Staff from the Hewlett Foundation captured the themes, ideas and questions that emerged from that meeting, which became the focus of a discussion paper "How Can We Advance the Field of Evidence-Informed Policymaking?". The Hewlett Foundation then sought feedback on the discussion paper, to aid them and/or future partners to work to advance the field of evidence-informed policymaking in a global way. The above-mentioned report from the Ottawa workshop responds to this discussion paper with the Canadian context in mind. The full report can be accessed here. *The Hewlett Foundation is a non-partisan, private charitable foundation based in the United States that advances ideas and supports institutions to promote a better world. Hewlett's work on evidence-informed policymaking has primarily been through their program on Global Development and Population. They have funded projects aiming to improve country-level policy processes and systems that make evidence use integral to policy formulation, implementation, and monitoring, primarily with a focus on East and West Africa.